OMWW contains a high organic load, substantial amounts of plant nutrients (3.5-11 g/l of K2O, 0.06-2 g/l of P2O5, and 0.15-0.5 g/l of MgO) and is a low cost source of water, all of which favor its use as a soil fertilizer or organic amendment to the poor soils that abound so much in the countries where it originates (Cegarra J. et al., 1966a,b; Catalano L. and Felice M. de, 1989; Nunes J.M. et al., 2001). Direct application of OMWW to soil has been considered as an inexpensive method of disposal and recovery of their mineral and organic components (Di Giovacchino L. et al., 1990, 1996, 2001, 2002) — see Chapter 8: ''Biological processes'', section: ''Irrigation of agricultural land/Land spreading''. The amurca of the ancients was recommended as a fertilizer for olive trees (Cato, XCIII), vines, and fruit trees (Columella, XI, 2; ''Geoponika''29, II, 10), although these latter sources suggested that amurca used for this purpose must be free from salt. 29This book is a compilation of agricultural writings collected and published in the 6th or 7th century A.D. by Cassianus Bassus. For the most part little is known about the individual authors of the various sections except that many lived during the period 200 B.C. to 200 A.D. As with much of the writing of this time, the ''Geoponika'' is an undiscriminating collection of earlier works, many of which have been lost and can no longer be examined. The content is of great interest to anyone studying agricultural history. countries such as Tunisia was not always successful (Mellouli H.J., 1996, 1998; Mellouli H.J. et al., 2000). Fig. 10.3. 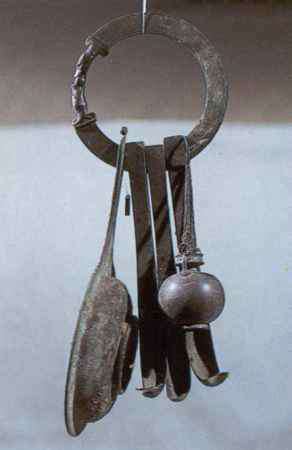 Standard hygiene kit of the ancient athlete depicting an aryballos (type of oil container) and three strigils for scrapping off the gloios (mixture of dust, olive oil, and sweat) from the body (The National Archaeological Museum of Naples, Italy) (photograph © Schafer-Schuchardt H., 1998). Olive oil was used by Greeks and Romans as a cleaning agent. Olive oil was rubbed on the body to mix with oils and dirt present on the skin. This mixture was then scraped off with a strigil, a sickle-like instrument. The resultant scraping (mixture of dust, oil, and sweat) was called gloios (y1oio<;) and it was also used for cosmetic and medicinal purposes. In fact, the gloios that came from athletes was especially prized for its curative properties. Galen*, believed in the efficacy of gloios as a medicine. He claimed to have seen gloios reduce ''cancerous tumors''. About a century or so before Galen, Dioscourides** and Pliny wrote about the same substance, which Romans called strigmentum. The inscription on a column found at Beroea in Macedonia, Greece (SEG 27.261, about 175-170 B.C.) describes a law concerning the gymnasium and contains one clause outlining provisions for the sale of gloios from the bodies of those who were allowed to exercise (Gauthier Ph., and Hatzopoulos, 1993)***. The contractor for the revenues from the gloios is to provide a palaistrophylax (a guard), who is to serve under the orders of the gymnasiarch and is to be subject to whipping if he misbehaves. The gloios was then heated up and impurities like pieces of skin, hair, or sand were taken out. The precious substance will be sold to doctors for use in potent medicine. *Galen, Medical writer of the Roman Empire who came originally from Asia Minor (modern Turkey) and lived around the 2nd century A.D.
**Dioscourides (also known as Pedanius Dioscorides) Greek writer, probably lived between 40 B.C. and 90 B.C. in the time of the Roman Emperors Nero and Vespasiano. For almost two millennia the medical botanist Dioscourides was regarded as the ultimate authority on plants and medicine. In his treatise ''De Materia Medica'' more than six hundred vegetable, animal, and mineral remedies are described. The plant descriptions were often adequate for identification, including methods of preparation, medicinal uses, and dosages laid the basis for pharmacology. ***Gauthier Ph. and Hatzopoulos (1993) La loi gymnasiarchique de Beroia, MELETHMATA 16, (232 pages, 1 map), Athens: Published by K.E.P.A. 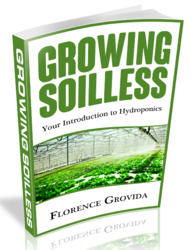 ISBN 960-7094-82-4.
section: "Effects on soil''. For this reason it would be necessary to carry out a previous treatment in order to utilize it (Fiestas Ros de Ursinos J.A., 1986b). Several studies have been carried out on the direct application of OMWW to soil as fertilizer either as a fresh liquid or sludge and their effect on soil characteristics and crop production (Morisot A., 1979; Morisot A. and Tournier J.P., 1986; Fiestas Ros de Ursinos J.A., 1986b; Saiz-Jimenez C. et al., 1986; Briccoli-Bati C. and Lombardo N., 1990; García-Rodríguez A., 1990; Di Giovacchino L. et al., 1990, 1996, 2001, 2002; Saviozzi A. et al., 1991, 1993; Levi-Minzi R. et al., 1992; Riffaldi R. et al., 1993). Riffaldi R. et al. (1993) performed a laboratory experiment during a 40-day incubation period in order to evaluate changes in organic and inorganic compounds of soil amended with two doses of sludge obtained from OMWW. Differences between the amounts of organic components of the amended soil and those of the control, although related to doses and sampling time, disappeared at the end of the experimental period. On the contrary, the inorganic anion content was still different for the various processes, which suggest, especially for NO^ and SO4~, a transient inhibition in the soil-sludge system. A germination test, carried out on the soil amended with different doses of sludge, indicates that after about 20 days even the soil containing the highest dose of sludge did not show toxicity any longer. Saiz-Jimenez C. et al. (1986) studied also the fertilizing properties of the sludge from OMWW. The humic acid fraction of sludge obtained from OMWW after disposal in isolated lagoons consisted of polysaccharides, proteins, lignins, and relatively high amounts of C16- and C18- fatty acids. Although the composition of this material is different from soil humic acids, it was concluded that the sludge has good soil fertilizer properties. • supply of organic matter, which enhances microbial activity and improves the physical and chemical properties of soil. • the difficulty of storing and disposing of the large amounts of this liquid waste which is produced in short, and often rainy, period of time. • OMWW must never be added when the crops are in sprouting period. In particular, OMWW can improve the productivity of the olive trees, if it is used at doses less than (i) 50 m3/ha • y from a three-phase centrifugation system and (ii) 25 m3/ha • y from a traditional press system, provided that there is a delay of at least 45 days between the application of the waste and the resumption of sap rising in olives (Le Verge S., 2004). The use of OMWW for two years out of three can replace a large part of the employed fertilizers. With reference to a traditionally used mineral fertilizer, the use of OMWW can bring an annual saving on fertilizer's costs of 50 €/ha in non-irrigated and 70 €/ha in irrigated olive orchards. To this, one must add the saving on the costs of spreading. In fact, the employment of OMWW permits the reduction of the mineral fertilizers by 550 kg/ha in non-irrigated and 800 kg/ha in irrigated olive orchards, which corresponds to a saving of 55 €/ha and 80 €/ha, respectively (the calculation is based on an hourly cost of 8.5 € for the material and 11.5 € for labor) (Le Verge S., 2004). OMWW could also be used for the reduction of the contamination of ground-water by pesticide drainage (Cox L. et al., 1997) — see also Chapter 3: ''Environmental effects'', section: "Leaching". By using composting technologies, it is possible to transform either fresh OMWW or sludge from pond-stored OMWW mixed with appropriate plant waste materials (carriers) into organic fertilizers (composts) with no phytotoxicity to improve soil fertility and plant production, the process involving the microbial degradation of the polluting load of the wastes — see Chapter 8: ''Biological processes'', section: "Composting". Results of field and pot experiments using OMWW-composts to cultivate horticultural and other crops have shown that yields obtained with organic fertilization are similar, and sometimes higher, to those obtained with a balanced mineral fertilizer. A comparison between the macro- and micro-nutrient contents of plants cultivated with organic or mineral fertilizers did not generally reveal important differences. However, the cases of iron and manganese are worth mentioning as their bio-availability may be linked to the soil humic complexes originated by the OMWW organic fertilizers (Cegarra J. et al., 1996a). Tomati U. et al. (1996) produced a high quality compost from OMWW, characterized by a considerable presence of nutrients, mainly organically bound nitrogen (1.5-3%), a good level of humification (degree of humification = 78%; humification index = 0.28), and by the absence of phytotoxicity. The agronomic value of a compost thus obtained was assayed both by the ''crop test'' and following the plant-soil system as influenced by compost supply. Field experiments performed on maize showed that compost, when supplied before sowing in amounts of 60-90 tons/ha (equivalent to a manuring on the basis of organic matter) is able to reduce the need for chemical fertilization. The same quantity supported the nutritional need of rye-grass and horticultural plants. Compost supply enhanced both soil oxygen consumption and nitrogen fixation in the open field. An improvement of activities in the plant-soil system was made evident by pot trials. However, there is limited research on OMWW composting and the use of such compost for crop production (Vlyssides A.G. et al., 1989; Cabrera F. et al., 1993; Amirante P. and Di Renzo G.C., 1991; Montemurro F. et al., 2004). Composted olive-mill waste could be considered as an appreciable low priced organic ingredient for pot ornamentals growing media, while simultaneously disposal of this waste in a friendly-to-the-environment way could be obtained. In olive oil producing areas usually ornamental horticulture is also developed because of the climate type. Pot ornamentals are mostly grown in soilless growing media that contain the rather expensive peat mixed with an inorganic material. Papafotiou M. et al. (2004) evaluated the amount of peat that could be replaced by olive-mill waste compost in the commonly growing medium of Euphorbia pulcherrima (poinsettia), that is peat with perlite. The results of this study suggest that olive-mill waste can replace up to 25% of the peat in the medium with perlite. The quality of the plants produced in this medium was as good as that of the control. Increasing replacement of peat by olive-mill waste compost induced a gradual decrease of the plant height, bract number, and node number where the first bract was initiated. All the above parameters of growth were significantly reduced even when 25% of peat was replaced, except the bract number that was significantly reduced in case of 50%. The decrease of plant height with no simultaneous effects on bract number and flowering could be particularly interesting, as it could contribute to the reduction of the amounts of plant growth retardants that are routinely employed for height control in commercial cultures of poinsettia, and to the decrease of production cost. Higher concentrations of olive-mill waste compost are not recommended for poinsettia production, as they induced late flowering expressed as decreased bract number at the time that control plants and plants grown in 12.5% of olive-mill waste compost were ready for the market. The co-composting of OMWW and olive cake can yield very good organo-humic soil fertilizer (Vlyssides A.G. et al., 1996). Bouranis D.L. et al. (1995) studied the effectiveness of an organic soil conditioner produced from the co-composting of OMWW with olive cake — see also Chapter 8: ''Biological processes'', section: ''Composting''. The concentration of 25% w/w of this material into the conditioner-soil mixtures appears to be the maximum level for the cultivation of tomato plants. The plants grown on this conditioner-soil mixture were 1.52-8.5% times larger than those grown on a sandy loam soil. The pure conditioner cannot be used as a substrate for the growth of tomato plants. The water-holding capacity of the conditioner was almost two times higher than that of the pure soil and remained almost stable for temperatures between 8-40°C. The apparent density of the conditioner was 0.5 times smaller than that of the pure soil. With increased application rate of the conditioner to the soil, there was a decrease in the pH, an increase in the specific conductivity and an increase in the ammonium-nitrogen and phosphorous concentration of the mixture. ES2037606 (1993) discloses a fertilizer prepared by mixing OMWW with an organic substrate (cellulose paste) or mineral substrate (sepiolite or vermiculite) with optional addition of N, P, and K ingredients to increase its fertilizing value. The fertilizer mixture is milled and fermented in heaps with control of the temperature inside the heap. ES2002555 (1988) discloses a manure made by the fermentation of mixtures of (i) animal manure (liquid and solid excrement from cattle, sheep, pigs, goats, poultry, rabbits, etc. ), (ii) earths which have been used for decolorizing vegetable oil, and (iii) waste from olive processing. The mixture undergoes aerobic and anaerobic fermentation to produce the fertilizer. Organic fertilizers have also been made from agricultural, forestry, industrial, and urban wastes, e.g. vegetable residues, organic fractions of solid urban or industrial residues, sludge from purification of effluent waters, or olive sludge, by adding a liquid fraction consisting of OMWW; after mixing and centrifuging, both fractions are fermented under aerobic conditions, subjected to final milling and sieved (ES8402554, 1984). 2POMW could also have a role as fertilizer, providing that it can be detoxified, for example through bioremediation by breaking down the toxic phenolic compounds. The effects of the application of 2POMW on plant growth and in physical and chemical characteristics of soil have been evaluated by Jones N. et al. (1998). Considering the results of this study, the utilization of 2POMW as organic amendment appears possible. This practice could provide an interesting solution for this by-product leading to a sustainable development of olive-mill industry. ES2103206 (1997) discloses an industrial process for the treatment, recycling, and conversion of OMWW and/or 2POMW into pure organic fertilizers. In the 1st stage the contaminating wastes are subjected to a biochemical treatment, passing subsequently into a tank where the OMWW/2POMW waste is absorbed or retained by lignocellulosic materials and undergoes anaerobic degradation; the 2nd stage comprises degradation by bacterial fauna, to give rise to phenolic-lignoprotein substances and stable acids. When the anaerobic stage is complete, the organic materials are extracted from the tank, formed into longitudinal stacks, into which air enters from the sides, creating a draught and initiating the rapid growth of thermophilic aerobic microorganisms (3rd stage) which raise the temperature of the OMWW/2POMW waste held into the lignocellulosic materials to 75°C, bringing about their thermal evaporation (4th stage). The stacks are periodically turned, oxygenating them to reactivate the process of bacterial thermogenesis (5th stage). Once the process is complete, the OMWW/2POMW waste has been converted into pure organic fertilizers. The degradation product of OMWW or 2POMW by the so-called M.A.T.Re.F.O. technology (EU project: LIFE00 ENV/IT/000223 "TIRSAV") can be used as a soil amendment and/or organic fertilizer in olive culture and crop cultivation in general — see Chapter 9: "Combined and miscellaneous processes''. The end product provides a series of beneficial effects on the land including: increased microporosity, hence improved oxygenation of the surface profile of the soil in which root growth and microbial activity occur (cultivation layer); increased stability of aggregates — an important factor preventing erosion phenomena and the formation of surface crusts due to rain action; better hydraulic retention of the land due to its increased microporosity; greater bio-availability of micro-elements for vegetal nutrition due to the known chelating and/or complexing capacity of the organic fraction of the soil which, due precisely to its chemical characteristics, tends to inhibit chemical insolubilization processes on such micro-elements — a phenomenon which generally occurs in calcareous soil. Lastly, the application of the organic substance makes it possible to reach the objective of contrasting desertification in progress in increasingly larger areas of the Mediterranean, especially where olive culture and mill processing activities are more widespread. The fertilizing effect of microbially treated OMWW (by anaerobic and/or aerobic processes) has been tested on a number of plants. Five types of OMWW with and without rock phosphate, microbially treated with A. niger or not, were tested in a soil-Trifolium system for their fertilizing ability. The beneficial effect of microbially treated OMWW was more evident during the first crop cycle. Best plant growth response and P uptake were observed in mycorrhizal plants grown in soil amended with fungal treated OMWW with rock phosphate (Vassilev N. et al., 1998). In another study, the degradation products of OMWW by batch and repeated-batch processes with a passively immobilized strain of A. niger were tested for glasshouse-grown durum wheat (Triticum durum Desf). Plant growth and yields were compared to those achieved using untreated wastes, and the greatest effects (seed biomass, spike number, kernel weight, and harvest index) were observed using the effluent treated by the repeated-batch process (Cereti C.F. et al., 2004). OMWW, by treatment with appropriate bacteria in an appropriate environment, can be converted into a natural organic conditioner for enriching natural and chemical fertilizers of any kind (biological and mineral, liquid, solid, and biocompost-based fertilizers), which obviates the drawbacks of conventional conditioners. The known natural organic conditioners for agricultural use consist of humic extracts — frequently obtained from peat by chemical methods; such conditioners, rich in humic and fulvic acids, are used increasingly owing to the extraordinary increase in effectiveness of the agricultural treatments performed in their presence, for example in leaf spraying, herbicidal treatments, wet dressing of seeds (i.e. 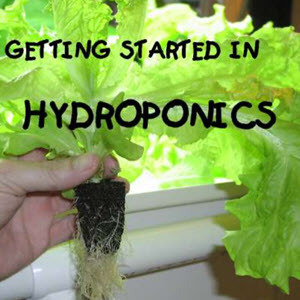 the application of manure or fertilizers to seeds), in hydroponics, or the like. However, conventional conditioners, owing to their origin, are biologically inert, in that chemical extraction damages and reduces the above mentioned active principles, and once they are spread on the soil, they are consumed by the plants; accordingly, the humic acids become depleted due to consumption and the effectiveness of the product decreases in the course of time. On the other hand, a liquid additive produced from OMWW is biologically active over time, in the sense that the humus-forming process continues on the field after spraying, increasing the effectiveness in a quantitative sense and terms of its duration. ITBO950012 (1996) discloses a liquid additive obtained by aerobic bacterial proliferation in OMWW containing active ferments of high bacterial count (from 500 million up to 2.5 billion bacteria per milliliter) as well humic and fulvic acids. The process for converting OMWW into a liquid additive was improved by the daily addition of organic nitrogen-containing compounds and minerals required for the vital needs of the bacteria. The time required for the conversion of OMWW into a product in which 30% of the organic carbon content is contained in humic material is typically 96 h. Such product applied to the soil through spraying or injection, provided continuity in the conversion of the organic matter into humic substances through the action of such bacteria. The liquid additive, by virtue of its richness in aerobic bacteria, is also useful in the agronomic bacteriological restoration of ecosystems, in producing selection in the soils, in purification plants instead of the expensive lyophilized bacteria, and in the prophylaxis against enterobacteria and pneumobacteria (ITBO950012, 1996).